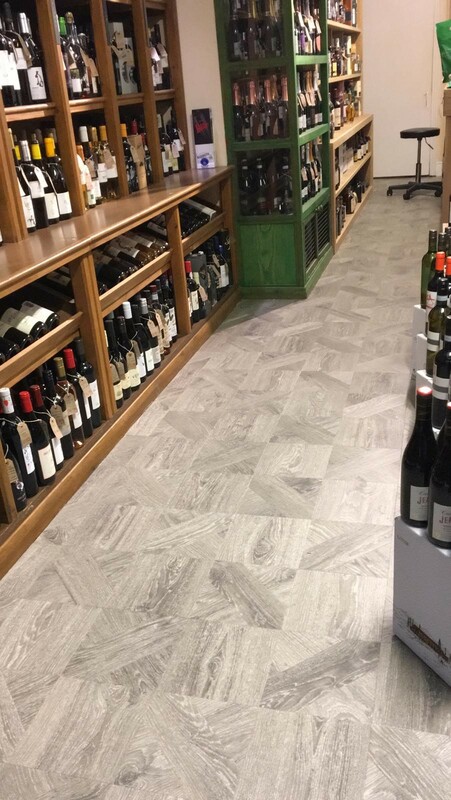 The flooring in the shop was becoming old and outdated, Corks needed something that was both stylish and durable enough to withstand customers regularly coming in and out of the shop. Following an initial consultation with Dominic and Rachel of Cork’s Cotham location; Rivendell removed the outdated existing flooring in the shop and replaced it with stunning LVT to match the look and feel of the brand. Luxury styles for a fraction of the cost of wooden flooring. Durable – up to 20-year warranties available. Scratch and scuff resistant – perfect for retail environments that experience a lot of traffic. An additional benefit of opting for LVT over sheet vinyl was the ease of replacement should the flooring be damaged. 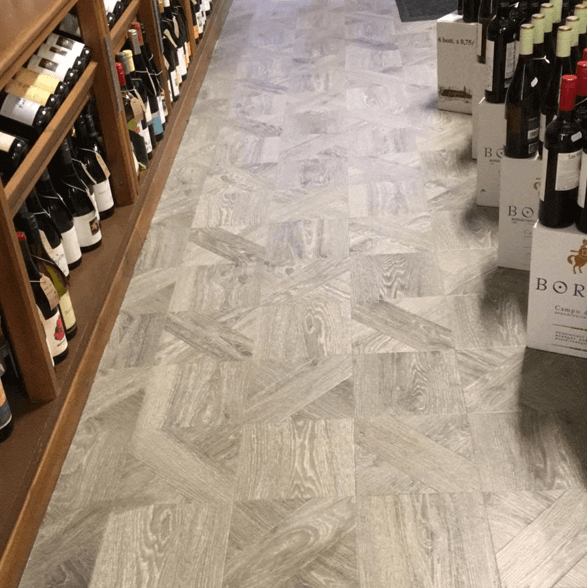 Smashes are common in wine merchants, so if (heaven forbid) a bottle of red was dropped and the flooring damaged beyond repair, Cork’s would only need to replace the damaged tiles as opposed to the entire floor. We understand that in commercial environments, making the right first impression counts. At Rivendell, we have a huge range of flooring solutions designed to meet your needs; from stunning LVT to stylish carpet tiles. Why not give us a call today on 0117 933 7979 or book an appointment in our new wood studio to discuss your options with one of our experts.